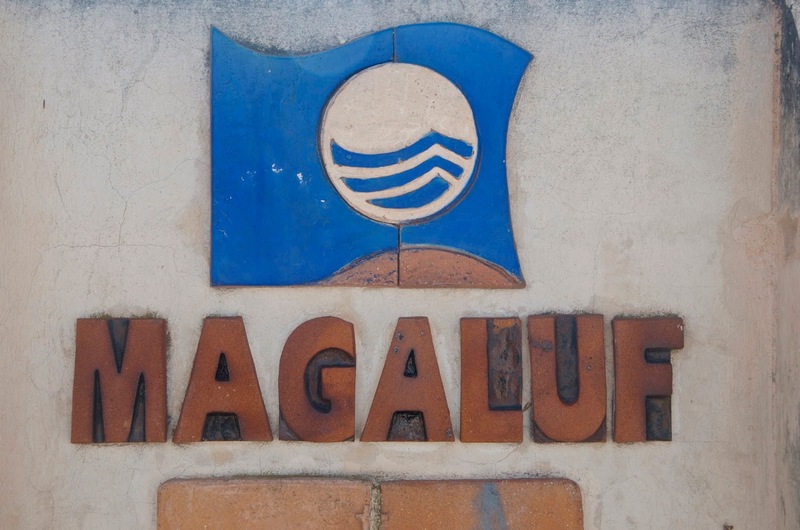 If you've ever heard about Magaluf, it probably wasn't in the best context - in fact, it's actually been in the news a lot lately for less than favourable events. Magaluf, sometimes referred to as Shagaluf has a bit of a reputation for being a hotspot for student partiers and stags & hens and to be honest, those things are a given, but I couldn't resist the temptation of taking at least a peek while I was in Mallorca. I considered it an adventure and if nothing else, a bit of a cultural anthropology experiment if you. Honestly, I'm super glad I went - it was my favourite day of the whole week we spent in Mallorca. If I'm honest, I'm not sure I'd ever stay in Magaluf. There's really no need since there are so many nicer areas you can stay in on the island of Mallorca that are a quick taxi or bus ride away and from what I could tell, the accommodation options didn't look too terribly exciting without spending a fortune. 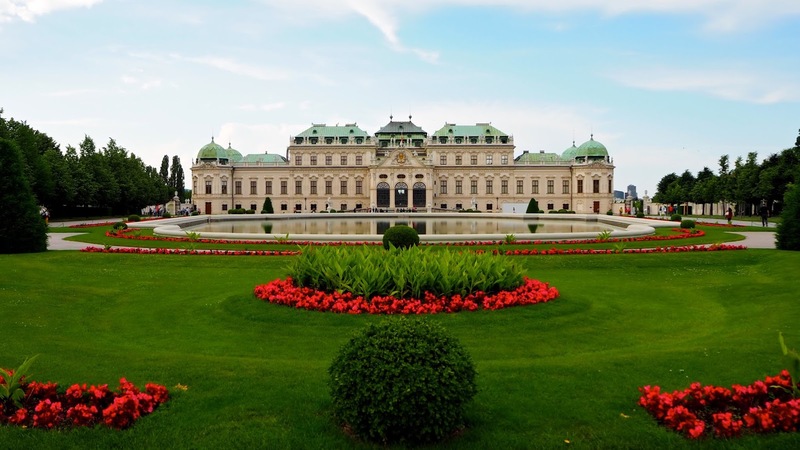 There are loads of students around from all over Europe, it can get a bit noisy and busy which is to be expected and given the crowd it attracts, a lot of the hotels look a super low rent, but come with a hefty enough price tag given the demand. That said, visiting Magaluf, particularly during the day, is a hoot! 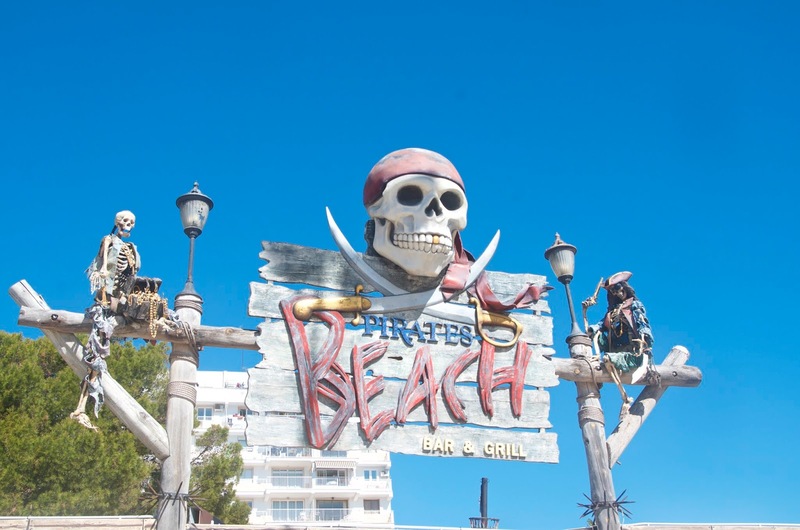 It's got all the cheesy, cooky fun you might expect from a party beach town, including a Pirate themed bar that looks like a ton of fun. (Yeah I said that - don't judge!) 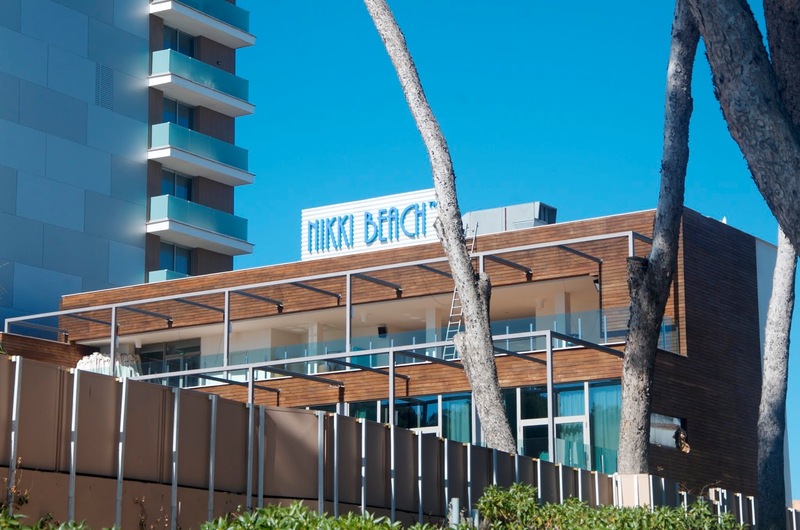 If luxury is what you're after, you'll find that too with places like Nikki Beach, Meliá and ME by Meliá taking up residence on the south end of the Magaluf seafront. Unfortunately I visited Mallorca just days into the high season, so not everything was open yet, but it was still a great time to go. 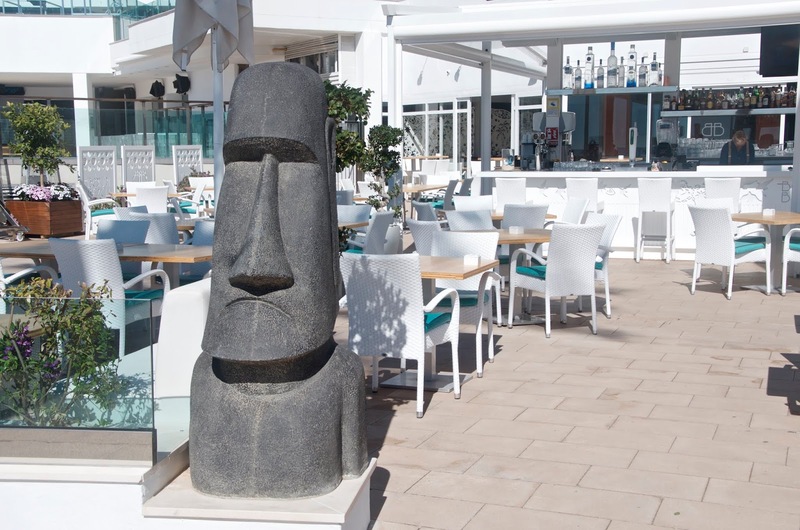 That said, if you hope to spend a day dining and drinking at Nikki Beach or would like to visit some of the fun attractions in the area, you might want to check the dates before you book your travel & accommodation. We started our day with a morning walk on the beach and it was lovely. 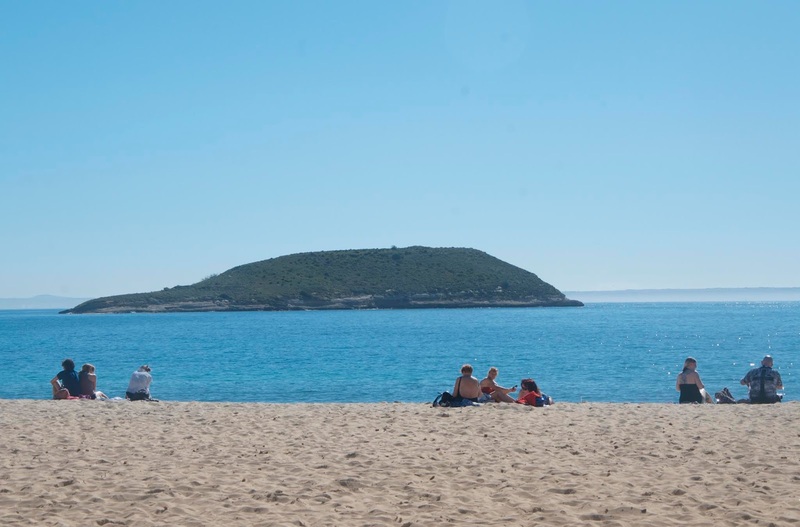 In fact, Magaluf had the best beach I saw while in Mallorca, though I'm sure there are plenty of others I haven't seen yet that are just as beautiful if not more-so. Umbrellas and lounge chairs are available as are public showers for washing the sand off and there were people of all ages out enjoying the sun. Along the seafront in Magaluf there are tons of fun bars and restaurants. You can imagine that during the height of summer they're probably packed with beautiful, tanned young people partying and having a great time, but in April they were fairly quiet. As you walk away from the beach into the town, it gets a little less cute and a little more risky. Giant nightclubs seem to be what's on tap surrounded by tons of late night pizza and kebab stands for when you need a midnight snack. There are also a ton of souvenir shops that are kind of fun scattered among the cocktail bars and strip clubs, but if you keep near the beach, it's a fun place to spend the day. 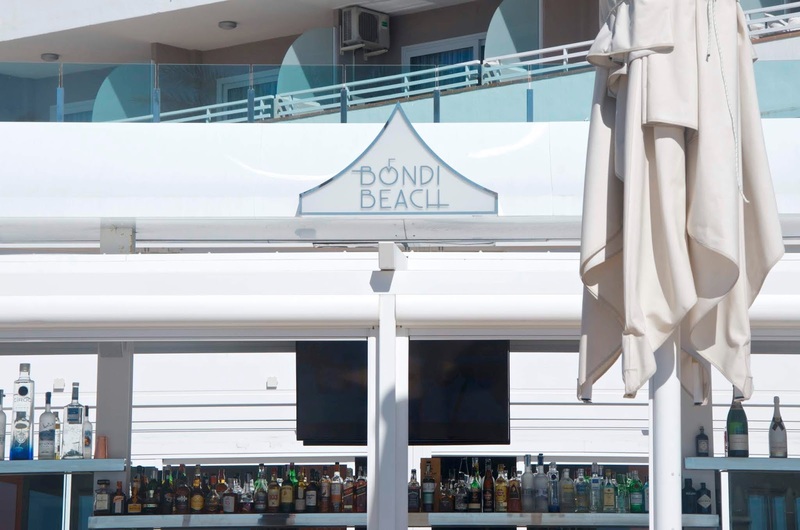 After a walk in the blazing sun to explore, we settled down at a stylish beach bar & restaurant called Bondi Beach for a cold drink in the sun. With all white decor and plenty of comfy, outdoor seating, this place is perfect whether you want to chill with a soda or indulge in a cheeky cocktail. There are boat cruises that stop off in Magaluf and while we didn't take one, that's certainly an option if you're planning to spend an entire day there. Pirates Adventure is an option for evening entertainment and while I didn't get to do it this time, I'd definitely consider it for my next visit because I love cheesy, fun stuff like that. Additionally there's Katmandu Park for amusements and mini-golf, Western Water Park is a family-friendly spot for water attractions and there's go-karting at Kart Magaluf, so there's no shortage of fun things to do if you're heading to Magaluf for the day. Just keep in mind that during the summer, there will be crowds and most likely, a lot of rowdy youngsters letting loose, so it's wise to book anything you can in advance and you'll probably have more fun if you keep an open mind about what to expect. Magaluf was about a 15 minute taxi ride from where we stayed, the Hotel Maritim Galatzo in Costa de la Calma and it was the perfect halfway point to Puerto Portals, so we never intended on staying in Magaluf for the whole day. Around noon we set off for about an hour walk, which was mostly on a beautiful pedestrianised path to Puerto Portals where we sat in the sun, drank delicious cocktails, shopped and scoped out the mega yachts, but as the sun started to set we suddenly decided to forgo the posh restaurants and hop in a taxi back to Magaluf. (Click here to read more about our visit to Puerto Portals.) We couldn't resist popping back into Bondi Beach for some ice cold drinks and a bite to eat, only to find it was nearly unrecognisable from just a few hours before. What was a bright, white casual spot in the sun became colourful with lights at night. Tiki torches were lit around the perimeter and the atmosphere was just lovely. My husband and I both decided on pasta dishes and we really enjoyed sitting by the sea at night noshing on delicious food. Following dinner, we couldn't resist the urge to see what the scene was like, so I'll admit it... We went to a night club. To be fair, in late April it was pretty dead, but there were 3 hen do's, 2 stag do's and a Swedish tennis team partying there, so we had enough fun to get an idea of what the scene is like, but it wasn't the craziness I expected and to be honest, I'm relieved. If I visited during height of the season, I probably wouldn't hang around after dark, but I just can't say for sure. All in all, my experience in Magaluf was a lot of fun - I wouldn't book a holiday just to go there, but it was fun to see what all the fuss is about since I was so close. I mean, you never really know until you try, right?